Sense of human being starts to be structured by the synergic significance of the environment. The inherence of the environment is sustained and nurtured by dint of the mindful manifestation of mother language. Mother language is the root element of life that absorbs the natural nutrients and essential entities from the land of life. The language is perceived and conceived by a child through the pristine premise of meticulous mind. 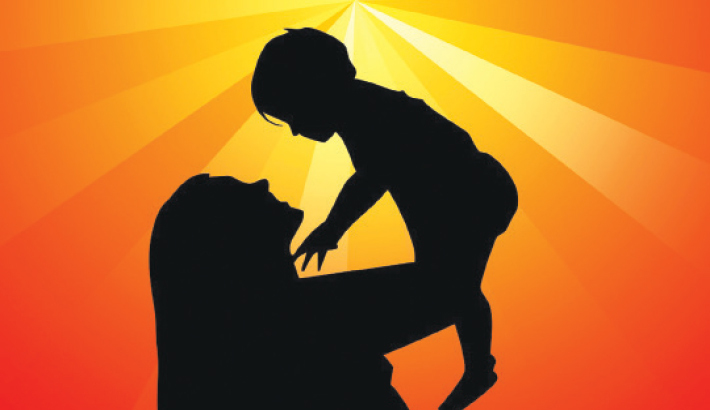 The connection between mother and offspring is innate and intuitive to formulate and design the source of synergy through the natural communication. The synergy drives the inherent interactions, fervent functions, and reflective reasonings resonating the coherent importance and momentous significance of mother language for leading the life. Mother language is the core code to represent the existence of a country in this world. A nation is glorified by the significance of the mother language. Sensing the synergic significance of our mother language (Bangla), UNESCO decided to observe 21 February as International Mother Language Day on 17 November 1999 all around the world. Mother language gives birth to the spirit of communication to extract the best out of any interaction and conversation. No other language can make the spirit alive in such a way for a person to converse coherently. Of all languages, mother language is the easiest to adopt and apply by instinctive interactions e.g. learning, teaching, reading, listening, speaking, and writing. Research shows that the intellectual development proactively goes onward by the fuel given by mother language. The fuel is pure in efficacy for utilizing the invigorated potential of the children to listen, believe, read, learn, express, and speak spontaneously. Researchers say that a firm foundation on mother language corroborates anyone to have much better clarity and understanding of any curriculum along with a more positive attitude towards the acquisition of knowledge. Sapir-Whorf hypothesis (1929) states that the structure of a language determines a native speaker's perception and categorization of experience. The hypothesis of linguistic relativity holds that the structure of a language affects its speakers’ world view or cognition. A set of essential skills are being espoused by the children from the inception of the development of mother language at the very early stage of life. Parents are the direct source for developing the paramount for comprehensive communication and cognitive consciousness. The source is bridged and catalyzed by their lucid form of language. The skills, inferences, and insights are extracted from the inherent infrastructure of spontaneity. Spontaneous strategies excavate the ecstatic enthusiasm which creates the eagerness for learning from life. Mother language sustains the enthusiasm of ease and excel without any conscious constraint. Language determines and affects the tenacity of thoughts. If our children are not educated in their mother language, thousands of natural thought processes might be molded abruptly. There are psychological perspectives, cultural congruences, emotional essences, and philosophical perceptions that can only be conveyed and expressed in a mother language. It has been shown that teaching in mother language gives better understanding in any subject than that of other languages. It goes without saying that one needs to learn multiple languages for the urge of globalization. In this case, mother language designs the firm foundation for learning other languages. Language scientists have researched and revealed that people who have primarily started their learning in their mother language seem to have a better ability to learn other languages. They generally display good language strengths and skills in future life. Moreover mother language contributes to the development of brain and mental ability through the cognitive communication and connection. Research of Institute of Learning & Brain Science, University of Washington, has showed that babies begin to absorb language when they are inside the womb during the last 10 weeks. “The mother's voice can be heard because it is amplified by her body,” Dr. Patricia K. Kuhl, a Professor of Speech and Hearing Sciences, says. Dr. Kuhl and her research team have also showed that infants respond quicker to mother tongue than to a foreign tongue. Children with a strong foundation in their first language often display a deeper understanding of the existence within the world conceiving a confident sense of strengths. The sense wave propagates into every step of their lives, including emotional connection and educational erudition.